After a 4-1 start to the 2017-2018 NFL season, the Green Bay Packers found themselves in the middle of a heated race for their division, the NFC North. 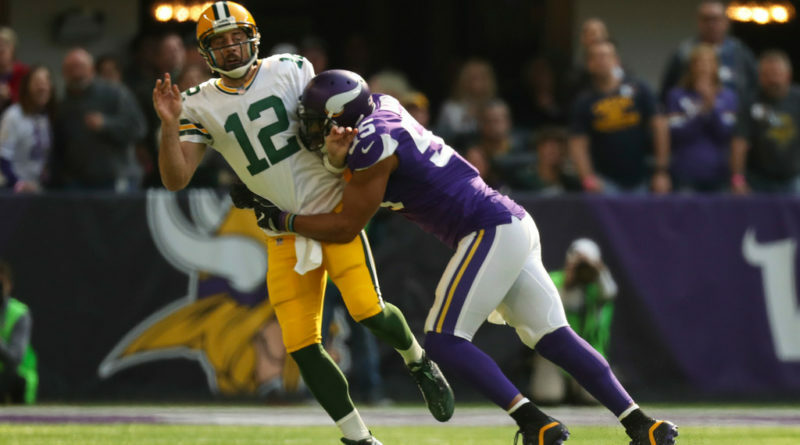 However, in a critical week six matchup against their division rival Minnesota Vikings, they found themselves without their best player, quarterback Aaron Rodgers. 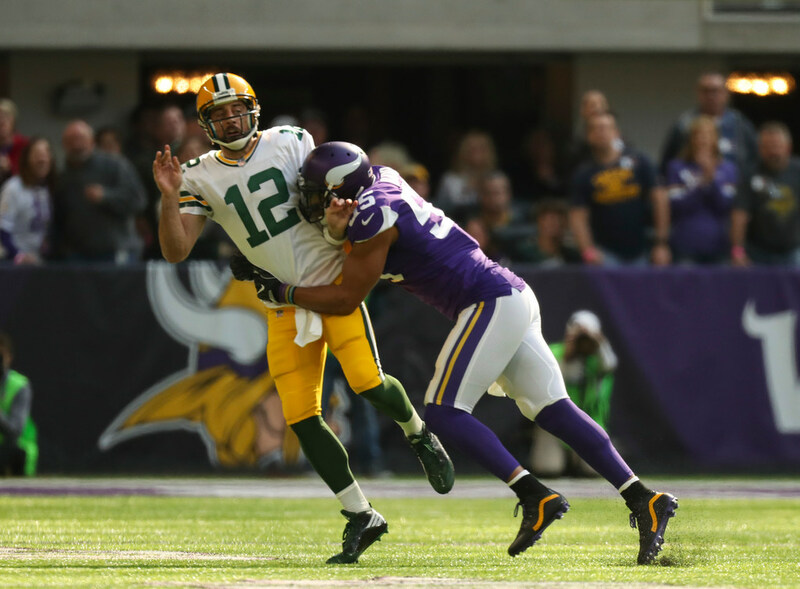 Rodgers was violently sacked by defensive lineman Anthony Barr as he fled the chasing defender and broke his collarbone. The loss of future Hall of Famer Rodgers not only marked a key turning point for the Packers’ entire season but also removed one of the game’s greatest players from the field, reducing the quality of play and revenue for the league as a whole. This forced the NFL and its commissioner Roger Goodell to reconsider its rules for the safety of its players. Thus, this year, the NFL instituted a new rule, unofficially referred to as the Aaron Rodgers rule, to better protect quarterbacks. The rule separately defines the quarterback’s two primary actions: passing and running. When a quarterback is passing, a rushing defender cannot intentionally tackle the quarterback at the knees or, new to the rulebook, with excessive force to the upper body. However, as the quarterback transitions into a runner, leaving the “pocket” formed by the receding offensive line or fleeing defenders, the rules devolve to simply banning excessive force, commonly referred to as unnecessary roughness. This rule works in tandem with the more stringent helmet-to-helmet contact rule that seeks to reduce concussions, especially as more data and research comes out about their lasting effects. The loss of a quarterback, who is generally the leader of the offense for football teams, can be detrimental to the success of a team for years. Backups with minimal experience are then forced into the spotlight, asked to command an offense on the big stage. Usually, this situation does not turn out well. In the Packers’ case, Aaron Rodgers missed seven games, his team lost five of their next six games after his injury, and the Packers missed the playoffs after their promising start. The goal of this rule change is to better protect some of the most talented but vulnerable players on the field for this very reason. However, the diction of the rules does leave a subjective determination of running and passing to officials, as well as what constitutes unnecessary roughness. Officials tend to enforce the rule in a seemingly random order, leading to inconsistency in gameplay and ambiguity for players. As such, the new rule has been met with tremendous controversy, especially from defenders that face the penalty for violations: a roughing the passer penalty for 15 yards and an automatic first down. For instance, this past week, it appeared that Philadelphia Eagles’ defensive end Michael Bennett was pushed into Minnesota Vikings’ quarterback Kirk Cousins midriff before sliding down and grabbing his legs for a sack. However, officials argued that the sack could have hurt Cousins’ knees and flagged Bennett for 15 yards anyways, setting the Vikings up in the end zone. The Vikings would go on to score a critical touchdown just two plays later, in what would have otherwise been a successful stop for the Eagles in their 23-21 loss. Bennett, a usually vocal player in his own right, declined to comment, but his teammate Chris Long said, “What’s he supposed to do, let him go?” clearly vocalizing his frustration. Likewise, many traditionalists argue that the rule takes away from the game’s toughness. Antwione Williams came directly off of the line of scrimmage for a sack against the Jacksonville Jaguars in what would have normally been a legal play. However, officials argued that Williams landed on the quarterback and should subsequently be flagged for the play. Most staunch traditionalists argued that Minnesota should not be penalized for Jacksonville’s poor offensive play, while coaches argued that the protection of franchise quarterbacks was far more important that the roughly twenty yard difference. The controversy has valid arguments on both sides. The initial cause for the rule update itself, Vikings’ Anthony Barr, said “You can complain all you want, but it’s not going to change unless they change it. It’s your duty to continue to play by the rules.” It doesn’t look like this new protection will go anytime this season or in the foreseeable future, so the NFL could see fewer hard knocks this season. Adam is Swarthmore Baseball's 2017-2018 runner-up in saves and a sports writer for the Phoenix. A lifelong sports nut from the nation's capital, Adam channels all of his anger of the Nationals failing to win a single playoff series into motivation to write for The Phoenix. He hopes that his readers do not feel the same reading his articles as he does every MLB postseason: disappointed.